Have you come across unfamiliar heating and cooling industry terminology or acronyms? This glossary will help you navigate the most common terms you'll need during your HVAC buying decision. ACCA: ACCA is a non-profit association whose membership includes more than 60,000 professionals and 4,000 businesses in the indoor environment and energy services community. Their website can be found at www.acca.org. AFUE: Annual Fuel Utilization Efficiency is a measurement used to rate furnace efficiencies by dividing the ratio of heat output by heat input. AHRI: The Air-Conditioning, Heating, and Refrigeration Institute (AHRI) is the trade association representing manufacturers of HVACR and water heating. Their website can be found at www.ahrinet.org. Air Handler: Indoor part of the air conditioning system including the circulating fan and evaporator (summer) / condenser (winter) coil. ASHRAE: American Society of Heating, Refrigerating and Air-Conditioning Engineers is a global society advancing human well-being through sustainable technology for the built environment. The Society and its members focus on building systems, energy efficiency, indoor air quality, refrigeration and sustainability within the industry. Their website can be found at www.ashrae.org. BTU: A British Thermal Unit is a measurement of the amount of heat required to raise or lower the temperature of one pound of water one degree Fahrenheit. Coil: The coil, or evaporator coil, is connected to the airflow outlet of the furnace. Conditioned refrigerant is circulated through the coil to cool the structure in the summer and heat in the winter. 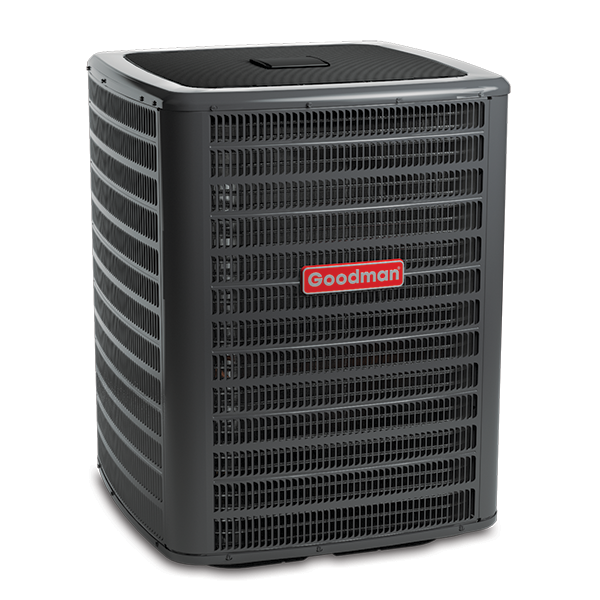 As warm indoor air passes through the indoor or evaporator coil, temperature and humidity are removed creating cooler indoor air. 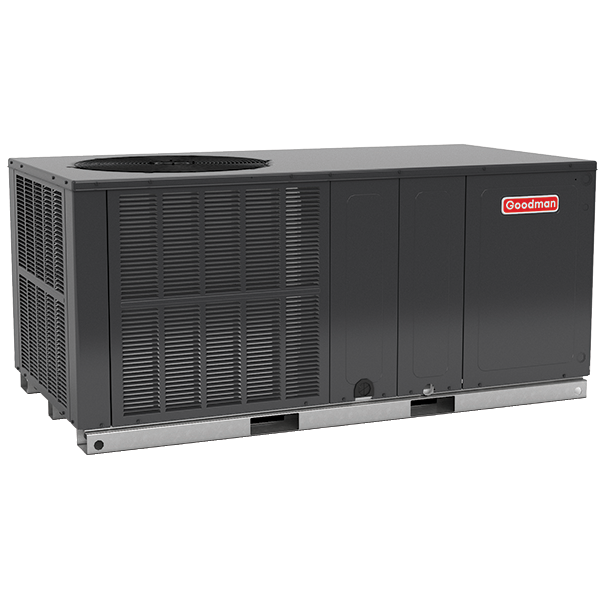 Installing a correctly sized and rated evaporator coil is essential for getting the highest performance and comfort from your central air conditioning or heat pump system. Compressor: A pump that increases the pressure of refrigerant gas. Condensate: As warm air is pulled or pushed across the cool evaporator coil the coil perspires, creating liquid, or condensate which is mechanically drained away from the equipment. Condenser Coil: Generally the outdoor coil, it removes heat from the refrigerant in the summer months, allowing the refrigerant to be converted from vapor to liquid and complete the refrigeration process. Condenser Fan: A fan that accelerates the movement of air over the condenser coil, facilitating the removal of heat from the refrigerant. DC: Direct Current. A type of electrical current that only flows in one direction. Damper: Found at the junction points of ductwork, these sheet metal plates can be opened or closed to control the flow of air into a zone. DOE: Department of Energy. Their website can be found at www.energy.gov. EER: The Energy Efficiency Ratio of a particular cooling device is the ratio of output cooling energy (in BTU) to input electrical energy at a given operating point. Energy Star®: ENERGY STAR is a U.S. Environmental Protection Agency (EPA) voluntary program that helps businesses and individuals save money and protect our climate through superior energy efficiency. Energy Star's website is www.energystar.gov. EPA: The United States Environmental Protection Agency is an agency of the US federal government which was created for the purpose of protecting human health and the environment by writing and enforcing regulations based on laws passed by Congress. Their website can be found at www.epa.gov. Evaporator Coil: Also an indoor coil. A device that is designed to absorb heat in the air in order to change the liquid refrigerant that flows through it into a vapor initiating the cooling process. Fan: A device consisting of a motor and a blower wheel that creates air flow. Filter: A central heating and cooling system may use multiple filters. The air filter is integral to the system intake ducting, prevents contaminants from entering the equipment and must be maintained or replaced at regular intervals. There is also a filter in the refrigeration system, also referred to as a drier, which acts like a strainer to remove dirt and undesired particles from the system. 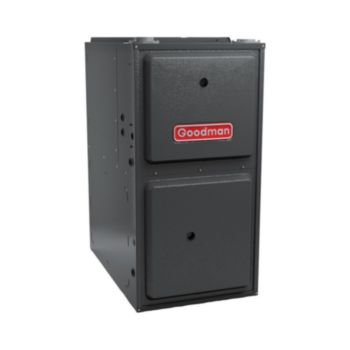 Furnace: The major gas fired component in for heating a home. A device that facilitates the combustion of fuel and air to create heat and then circulates it through the home by means of a fan. Fuse: A delicate metal strip connecting two parts of an electrical circuit. This strip works as a safety, or circuit protector, and breaks, or melts, in the event of excess electrical charge, breaking the electrical circuit. Heat Exchanger: A device through which heat is transferred to a cold or warm area or surface. Heat Loss: The amount of heat lost or subtracted from a designated area. Heat Transfer: The flow of heat from one area to another by conduction, convection, and/or radiation. Heat flows naturally from a warmer to a cooler material or space. HSPF The Heating Seasonal Performance Factor (HSPF) is a term specifically used to define the measurement of efficiency of a residential heat pump system. Ignition: Elevating the temperature of a substance to the point of causing a combustive reaction. Interconnection Agreement: A connection or link between power systems that enables them to draw on each other's reserve capacity in time of need. Latent Heat: Is energy released or absorbed, by a body or a thermodynamic system, during a constant-temperature process that creates a change of state. An example is the latent heat of evaporation which creates a phase transition from liquid to a vapor at a specified temperature and pressure. Manufacturer Approved System: If replacing a condensing unit, furnace or air handler, the system must be manufacturer approved and Air Conditioning, Heating and Refrigeration Institute (AHRI) matched. NOTE: Installation of unmatched systems is strongly discouraged. NATE: North American Technician Excellence is the nation’s largest non-profit certification organization for heating, ventilation, air conditioning and refrigeration technicians. NATE is the only technician certification organization governed, owned, operated, developed and supported by the HVACR industry. NATE's website can be found at www.natex.org. Particulates: The fine liquid or solid particles contained in combustion gases. The quantity and size of particulates emitted by cars, power and industrial plants, wood stoves, etc are regulated by the U.S. Environmental Protection Agency. Plenum: A pressurized housing containing a gas (typically air) at positive pressure (pressure higher than surroundings). One function of the plenum is to manage and equalize pressure for more even distribution. Programmable Thermostat: A type of thermostat that allows the user to program into the devices' memory a pre-set schedule of times and temperatures enabling or disabling the HVAC equipment. PSI: A pound per square inch is a unit of pressure resulting from the force of one pound-force applied to an area of one square inch. PSIA: Pounds per square inch, absolute is used to clarify that the pressure is relative to a vacuum rather than the ambient atmospheric pressure. Since atmospheric pressure at sea level is around 14.7 psi, this will be added to any pressure reading made in air at sea level. PSIG: Pounds per square inch gauge designates that the pressure is relative to atmospheric pressure. Psychrometric: The analysis of atmospheric conditions, particularly moisture in the air. Radiant floor: A type of radiant heating system where the building floor contains channels or tubes through which hot fluids such as air or water are circulated. Radiation: The transfer of heat through matter or space by means of electromagnetic waves. Refrigerant: The compound (working fluid) used in air conditioners, heat pumps, and refrigerators to transfer heat into or out of an interior space. This fluid boils at a very low temperature enabling it to exude and absorb heat. Scroll Compressor: Used in both lower and higher efficiency air conditioners, scroll compressors are popular because they feature fewer moving parts than reciprocating compressors. This translates to more efficient operation, higher tolerance to liquid refrigerant, less mechanical failure and smoother, quieter operation. SEER The efficiency of air conditioners is often rated by the Seasonal Energy Efficiency Ratio which is defined by the Air Conditioning, Heating, and Refrigeration Institute as the cooling output during a typical cooling-season divided by the total electric energy input during the same period. Single-Speed: A single-speed motor runs at top speed until it satisfies your temperature setting and then shuts off. They’re generally louder at start-up, consume more energy than alternative motor types and can cause more stress on mechanical parts. Split System: An outdoor unit combined with an indoor unit (as opposed to a package unit), generally providing more efficiency and configuration options. Thermostat: A wall mounted device that monitor and controls the output of an HVAC system. Thermostatic Expansion Valve: A device that creates a constant evaporator temperature by regulation of refrigerant flow through the system. Two-Speed: The base required for a high-efficiency air conditioner, two-speed motors cycle on in low gear and attempts to satisfy the cooling load for the home, shifting to high gear if necessary. Once it reaches the desired temperature, it cycles back down to low before shutting off. With just two speeds, it reduces start-up noise, operates with greater energy efficiency and causes less stress on mechanical parts compared to single-speed motors. Variable-Speed: Ideal for high-efficiency air conditioners, a variable-speed motor functions much like a two speed, only with several speeds of operation. When compared with single- or two-speed motors, it facilitates smoother cycling and more precise performance control, as well as the most quiet operation, highest energy efficiency and least stress on mechanical parts. Ventilation: The process of moving air (changing) into and out of an interior space either by mechanically induced (forced) means. Volt: Is the derived unit for electrical potential and electromotive force. Watt: Is defined as joule per second and can be used to express the rate of energy transformation with respect to time.